Fossils: We carry a large variety of fossils, from plants to shark’s teeth. 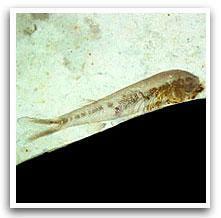 You will find unusual fish fossils from Morocco to China. Beautiful leaves incased in sandstone, and insects trapped in amber. And come see our Mammoth tooth on display. Great for the school project or the person interested in history. We carry a large variety of fossils, from plants to shark’s teeth. You will find unusual fish fossils from <?xml:namespace prefix = st1 ns = "urn:schemas-microsoft-com:office:smarttags" />Morocco to China. Beautiful leaves incased in sandstone, and insects trapped in amber. And come see our Mammoth tooth on display. Great for the school project or the person interested in history.